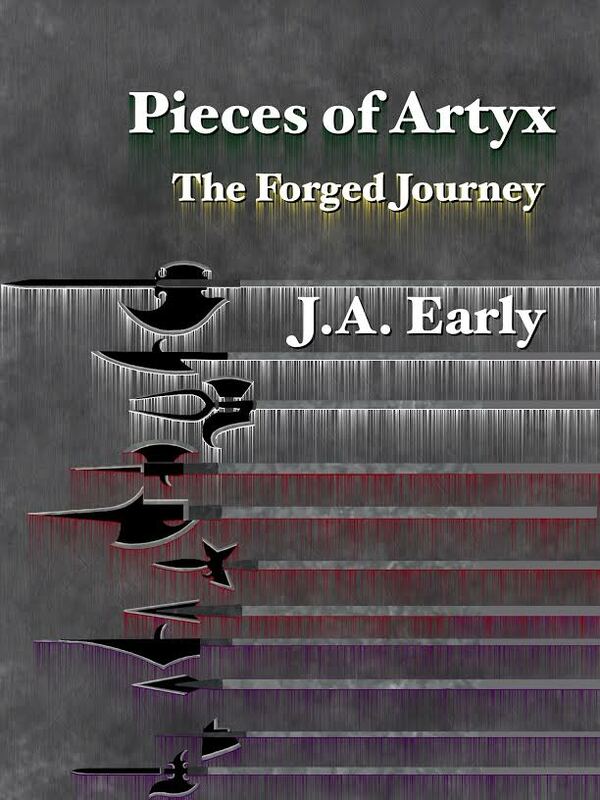 Ancient artifacts, mad sorcerers and the prophecy of a human child makes for an intriguing, compelling fantasy tale in J.S. Graydon’s first published novel The White Horseman. Saving the world is no easy feat for one human child amidst a war of destruction when one powerful messenger is summoned by the enemy: The Horseman, who will bring forth a message of apocalyptic warnings: the world of humanity will end. With the right combination of magic, wizardry and action packed adventure, Graydon’s debut will surely be a treat to readers of all ages. Tell us about J.S. Graydon, fantasy young adult author. I am originally from England. I was raised in a very little village. The same one that is in the book! I had a wonderful childhood there. In the countryside people really do still believe in magical creatures. I truly believed that there were fairies that lived at the bottom of our garden. We had a true white witch that lived less than a mile from us! When you are brought up with such colorful people, it is hard to contain your imagination! I have since moved to southwest Florida which is a fantastic place to live. When I’m not writing, I love to travel. Tell us about the premise behind your debut novel, The White Horseman. Good question! 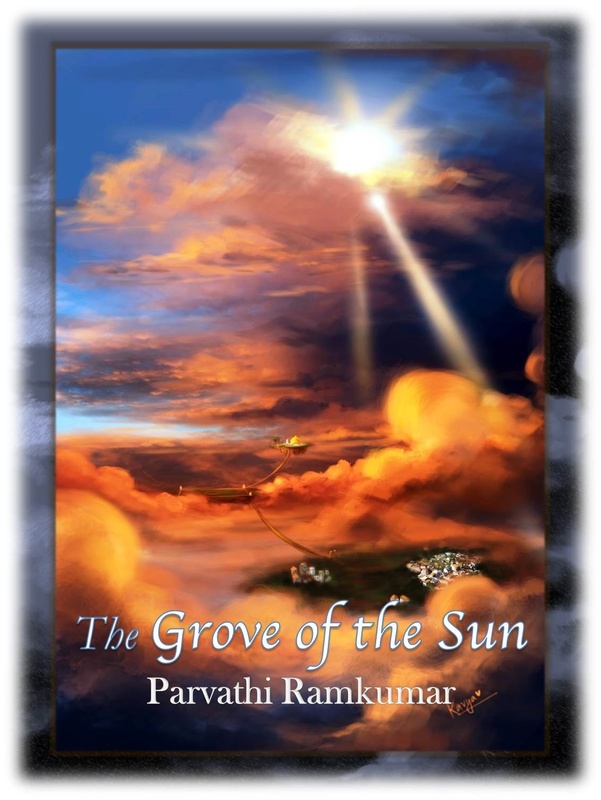 The book is about a young boy that gets a chance of a lifetime to join in an adventure that will ultimately save the world. A sorcerer, determined to obtain his place within the immortal realm has begun a chain of events that if not stopped, will bring about the very End of Days itself! His spell would unleash the first of the horseman of the apocalypse: The White Horseman. The young boy is drawn into situations of magical manipulations and of enchanted forests that are not rooted in place. He encounters wondrous creatures drawn from the myths and legends of ancient lore such as centaurs, hobgoblins, elves, and celestial beings that intervene to try to stop an ancient evil from rising again. But while the good try to repair the damage before it’s too late, there are others that plot to sabotage. Not all those that appear to help the boy are truly what they seem. There are creatures that would love nothing but for the plan to fail. Suspicion runs rampant as it becomes clear that there is a traitor amongst them. They can only hope that they can stop the one person that stands between salvation and hell’s gates before it is too late. I’ve been writing most of my life. I have tons of unfinished manuscripts and plays that got started but never finished! This story came to me in a dream and it was important to finish it. What makes your book unique from other fantasy adventures on the bookshelves today? It’s unique because there are many other programs and television shows that are on the same page (no pun intended) as this novel. For example, the television show Constantine portrays a battle with demons and angels. This is also true within my book. There are celestial forces at play in The White Horseman that will keep you guessing until the end of book! Another example would be Sleepy Hollow: This show follows more closely the ideas that The White Horseman creates. The young man, Ben, is thrust into a magical journey to stop the horseman of the apocalypse from returning to earth. The plots and subplots also make it unique. I just love weaving ideas around each other. There is more than one story being told within the pages of The White Horseman. The characters are complex and each brings to the table a strong personality. Tell us about the main characters in the book. Absolutely! Ben is the main character – he is the one that crashes through the protective barrier that hides the guardian world. A prophecy picks Ben to lead a group of local characters in an effort to stop the evil wizard that plans on ruling both worlds. His mentor is Gerhardt – an ancient sorcerer whose knowledge will help guide him on his quest. He is accompanied by some very colorful characters: An elf, a Scotsman, a centaur and a hobgoblin. He also has the unpleasant task of working with a Contrary – a person cursed to live his life backwardly. Not all are as helpful as they could be. Some are not his friends at all but plan to sabotage Ben’s efforts at any cost! Some of the conflicts in the storyline appear to be ripped from the headlines. Can you elaborate on why you chose to go that route? Did you simply wing it when it came to penning the story or did you work from an outline? Great question! I had a general idea of what needed to be written but it was mostly written free style. I had started the story years ago, writing on ledger books – I had tons of them. Eventually I had the task of transferring the written word into a computer. That took some time! The second half of the book was written directly on the computer which definitely sped up the thinking process. Now that the characters are fully formed I plan on using an outline for the second book in the series called the Red Horseman. Probably it was finishing it! 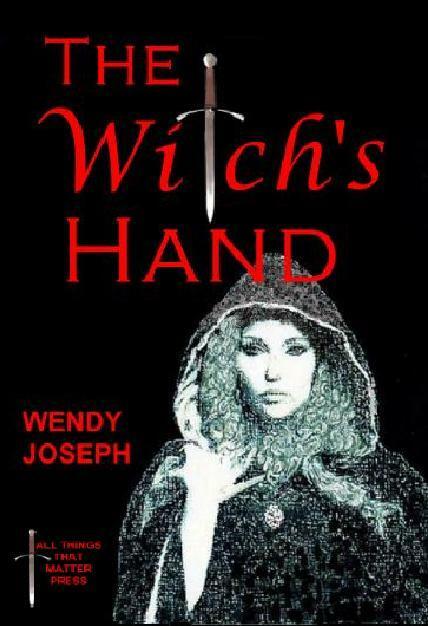 I started writing it many years ago but didn’t have the discipline to finish the novel. There was a two year gap between the first half of the book and the second portion. When I picked up the book the second time around I enjoyed the characters so much that I knew that I needed to knuckle down and finish it! Also, originally I would go back and re-read the chapter in an effort to ‘fine tune’ it. This led to me slowing down and feeling that the chapter was stale. The second time around I just barreled forward and ironed out the small details much later. This allowed me to work quicker and keep the story fresh in my mind. Which character did you find the most difficult to portray? The most challenging character was writing in the Contrary. The Contrary is a person born of both the human world and the world of Wode Uplands. It is a highly unusual aberration. Because the Contrary is born of both worlds he is cursed to forever live his life backwards. I must say that trying to clearly write about a man that must live his life in reverse was difficult at best but he is a very important piece in the puzzle between the two worlds. The Contrary in essence becomes like a bridge that can see into both realms. His place in the book is a vital one. Are you an avid reader of any particular genres/titles? Yes, yes, yes! I love to read. I will read anything. Cereal boxes, ingredient lists, magazines, books, you name it! I caught the reading bug very early in life and I believe I’ve read hundreds of books. I love young adult and fantasy books, but I relish a good mystery or thriller too! Imagination is such a wonderful tool that the mind has. Mine works on overtime. In all the hundreds of stories I’ve read or written my mind conjures up new environments and colorful scenery each time. Tell us what’s in store for fans of J.S. Graydon? I plan to continue writing. 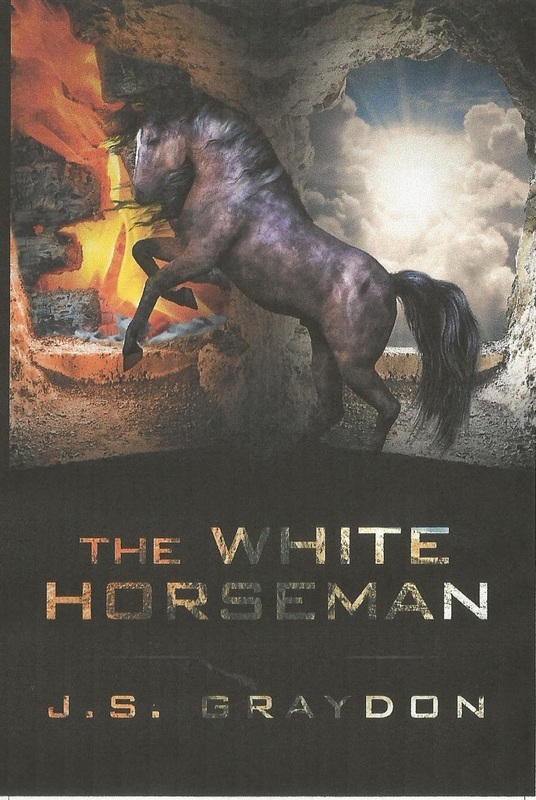 The White Horseman is the first in a series of five books. I have already started work on the second book, The Red Horseman. I would love to get everyone’s thoughts and reviews on the book. I’m sure that it will help guide the next books on their way! Where can readers learn more about you and purchase The White Horseman? I also have a new website: http://www.jsgraydon.com/. It has just opened but I plan on using it as tool to connect with my readers. I am thrilled to start this new chapter (pun intended) of my life and to be able to share it with others.